This entry was posted in Partners and tagged children learn English, English books for kids, ESL teaching material, free online English for kids, Mingoville books by . Bookmark the permalink. Register on http://www.mingoville.com and start improving your English. It very easy. We hope you have lots of fun. This week we also launch a virtual world where you can play games and learn English at the same time. We are very pleased that you enjoy Mingoville. If you have good ideas on how to make your experience even better, feel free to submit them to us. We are always open for good suggestions. hi Tisha – when you have registred your account should work. Try to register again and then try to log in. Hi, I love Mingoville. 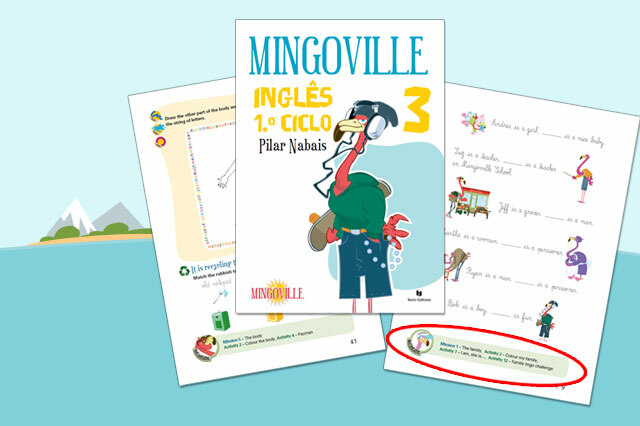 How can I buy Mingoville English Books for Kids? Magnificent post,You discover new things each day. That was a really good article,I count on many more post from you.